The former Greens leader, Bob Brown, has won a landmark High Court case against Tasmania’s anti-protest laws. Bob Brown’s case challenged the validity of Tasmanian anti-protest laws that specifically target and criminalise people involved in activity to promote awareness or support for a political or environmental issue, where that activity occurs on or in the vicinity of ‘business premises’. This includes ill-defined areas of native forest where clear-fell logging takes place. The case is a landmark for Australian civil rights and democracy. It is the first time the Court has ruled to invalidate State laws that criminalise protest activity. It follows a string of High Court cases that had the effect of narrowing the implied right to freedom of political communication. To see the freedom re-affirmed and possibly widened by this ruling, specifically in its application to protecting the right to protest, is most welcome. Digesting what the case means for other laws in other states will require careful analysis of the judgment. The case comes at a time when not only Tasmania, but every State and Territory has been passing laws that increasingly target and restrict the rights of the community to protest. Victoria, New South Wales and Queensland all elected to join the case to support Tasmania’s position. These States had no direct interest in the laws in question. They joined because they wanted to protect their own laws that could be open to the same challenge or protect their interests in passing future laws similar to Tasmania’s. 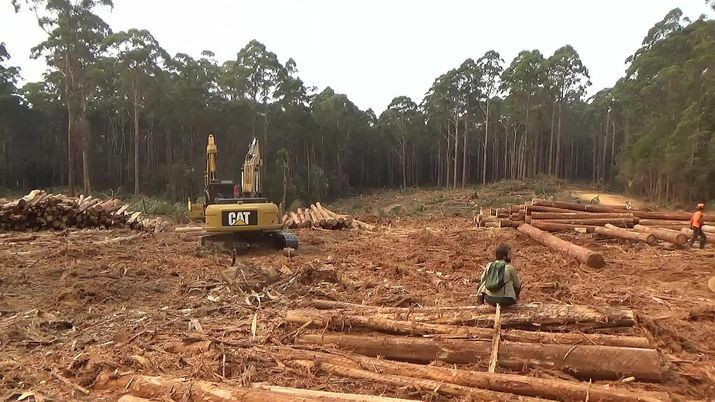 While there’s a view that laws such at the one struck down by the High Court are a symptom of the capture of the Tasmanian government by the logging industry, it’s worth noting that Victoria is actually now Australia’s largest logger. Victoria’s Andrews Government clear-fells critically endangered forests on Melbourne’s doorstep and remnant old growth in East Gippsland, hands millions in taxpayer subsidies to the logging industry and just made the unprecedented move to nationalise the State’s largest sawmill to save it from closing because it can’t make a buck. In another context, in a position reminiscent of Tasmania’s in relation to the law the High Court has overturned, just two weeks ago, Premier Daniel Andrews described infringement of civil liberties, rights and freedoms as a “luxury” he would not debate. Although the Court’s judgment indicated that laws prohibiting actions that actually obstruct logging operations or which are necessary for safety may be valid, the High Court’s ruling today has confirmed that the right to protest, including in our native forests, is fundamental to our democracy and a civil liberty that is to be protected from over-reaching laws that silence protest.